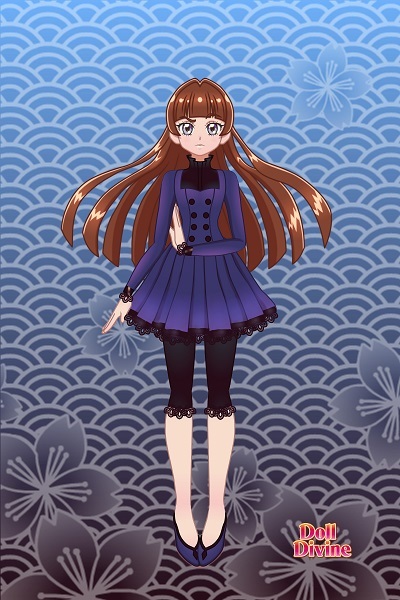 Wanted to make the rest of the squad on this maker since I already made Kasumi. I'm getting through them slowly. Satomi is the youngest sister. Serious, sarcastic, and extremely intelligent. She is an ISTJ (Logistician), so sometimes she's too stubborn and insensitive for her own good, but she is also very strong-willed, practical, and dedicated to her people and family. She may sometimes appear rude and standoffish but she only wants what's best for her loved ones, she just doesn't know how to express it. She is a talented artist and possesses the ability to see the future in dreams. She is the Priestess of the Sky God's temple. Her casual style is more simple than her sisters. I remember her :D Very pretty doll - I LOVE the black lace trimming!